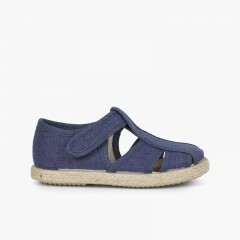 With our brasileras rubber sandals, or our canvas sandals, your kids will stay trendy for the whole season. 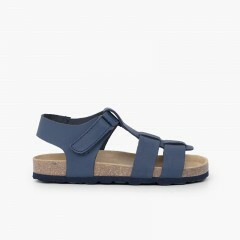 These sandals for boys are so cool and trendy that they can be worn at the beach, the swimming pool or even to go out, or otherwise you might prefer to alternate them with the canvas sandals. You will love them so much that you'll want a pair for yourself...! 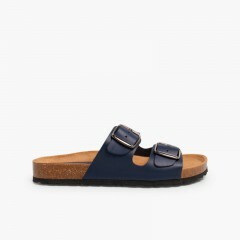 and guess what, we also have rubber sandals for adults. 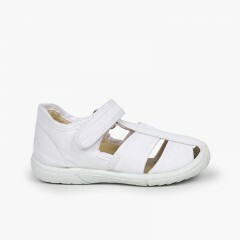 Our catalogue with sandals for boys also includes several fashion ideas from international renowned brands such as XTI. Modern and perfect to stay trendy at best price. 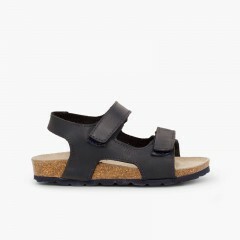 Remember that in the boys footwear section you can also find boots for boys, jelly sandals for the beach, avarcas menorcan sandals, boar shoes and t-strap shoes. 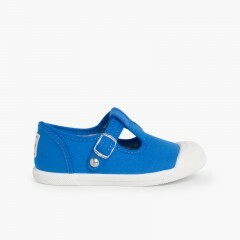 Very good summer shoes, lovely style and comfortable for my child!\nMy only criticism is that the metal popper clasps can be a little tough at first and so it can be a bit tricky to close them for the first few wears!